Following updates to the federal Australian Government's Protective Security Policy Framework (PSPF), and associated update to the Email Protective Marking Standard (EPMS 2018.1), Janusnet has released Janusseal for Outlook 3.4. This release follows Janusnet's strong support of open standards with its implementation of previous releases of EPMS standard since its first release in 2005. Janusseal for Outlook 3.4 implements the changes necessary for the 2018 PSPF and provides rich grandfathering features to simplify transition, allowing for staged update of the new classification system within your network. The EPMS 2018.1 provides an open standard to implement the 2018 PSPF in email. It allows email components, such as clients and servers to interact between agencies, to interact, so that a message classified in one agency can be interpretted and handled correctly by a receiving agency. 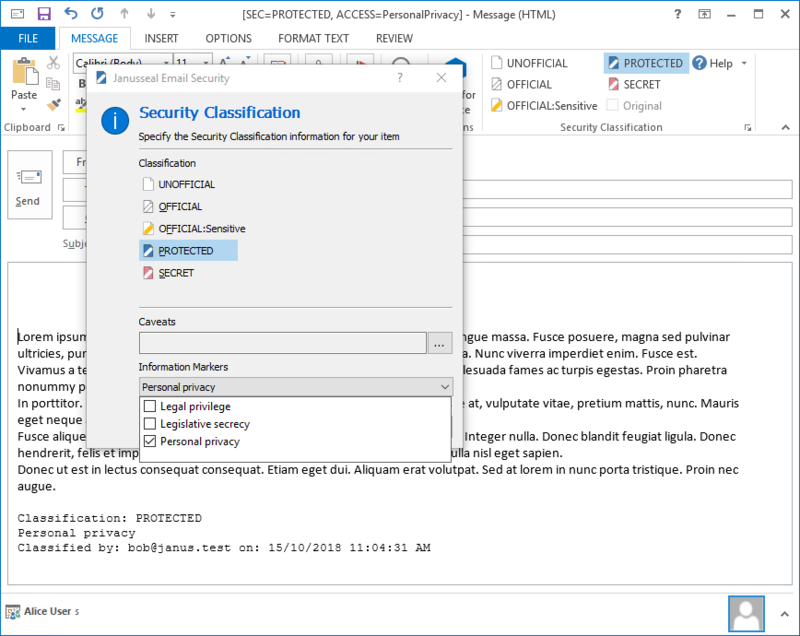 Janusseal for Outlook 3.4 is supported with an updated gov.au starter kit, which includes the configuration for 2018 EPMS classifications, and a guide for transitioning to the 2018 PSPF.